For those of you who are looking for reasonable answers to some very straightforward questions click here. And while you are at it, here is a thoughtful post about how we should think about federal employees. It turns out they really aren’t the enemy. There appears to be no let up in the wild reports of abuse of innocent Americans who want nothing more than to enjoy our beautiful National Parks. A report which appeared in a Newburyport newspaper takes the cake. A group of senior citizens found themselves in Yellowstone National Park on October 1 and according to Pat Vaillancourt, at one point, under “armed guard.” You can read more of the story. Vaillancourt’s account of the group’s ordeal . “We’ve become a country of fear, guns and control,” said Vaillancourt, who grew up in Lawrence. “It was like they brought out the armed forces. Nobody was saying, ‘we’re sorry,’ it was all like — ” as she clenched her fist and banged it against her forearm. The bus stopped along a road when a large herd of bison passed nearby, and seniors filed out to take photos. Almost immediately, an armed ranger came by and ordered them to get back in, saying they couldn’t “recreate.” The tour guide, who had paid a $300 fee the day before to bring the group into the park, argued that the seniors weren’t “recreating,” just taking photos. “She responded and said, ‘Sir, you are recreating,’ and her tone became very aggressive,” Vaillancourt said. First, what was this tour doing in Yellowstone to begin with on October 1? It’s not like the federal shutdown happened without any warning. 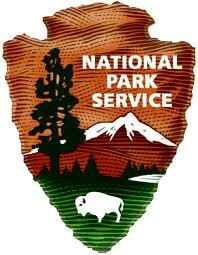 It was widely reported that in the event of a shutdown the National Parks would be closed. Why is no one inquiring into the organization and management of this tour? It is unfortunate that tourists are being inconvenienced and in a number of cases made to feel uncomfortable, but no one seems to understand what closed means. How about looking at this from the perspective of the few NPS employees who have been left to manage very large sites such as Yellowstone and the Grand Canyon. Consider all of the potential problems apart from those caused by stranded visitors and those who have taken it upon themselves to cross barricades. They have been placed in a very difficult position so if you happen to find yourself on federal property that has been closed don’t expect to receive the same warm welcome as if it is business as usual. CLOSED MEANS CLOSED. Another portion of the article that passed without emphasis in the newspaper article was “The bus stopped along a road when a large herd of bison passed nearby, and seniors filed out to take photos.” Tourists coming in too close proximity to the bison can be dangerous and even fatal. http://travel.usatoday.com/destinations/dispatches/post/2012/08/when-bears-and-bison-attack-staying-safe-in-national-parks/831649/1. As for the rangers being armed, about the only rangers left on duty are the law enforcement rangers, the NPS’s police force (just as your local police department). Law enforcement rangers are armed just as any other police officer would be. I remember when I was on a tour of Shiloh National Military Park, led by the incomparable Stacy Allen who was then (I’m not sure if he’s retired or not, Shiloh NMP’s web site is down because of the shutdown so I couldn’t check) both chief historian and chief ranger at Shiloh. As chief ranger, he was in charge of law enforcement at Shiloh and, as such, he wore a gun. There was no shutdown, etc. at the time. It was just part of his job. I’m tired of people provoking confrontations with the park personnel who have their hands full protecting these resources against vandalism, theft, etc. at a time when it’s known that the parks have skeleton staffs. As you point out, the fact of the shutdown and how it affects the national parks are no secret. Last time I checked there are bears in Yellowstone – Godless, killing machines? You jest, but the last time I was at Yellowstone, I was shocked to see how many tourists got out of their cars to approach a bear crossing a field, as if it was Yogi looking for a picnic basket. I also saw a bison charge a group of tourists trying to pet it near one of the lodges. Luckily, Hulk Hogan of the Gestapo was there that time to distract the animal and protect them. Thirty years ago I was stopped while speeding by an ARMED state trooper! I was only going 5 miles over the speed limit and yet he was armed!! He should have left his gun at home knowing that I was a law student and meant him no harm. At La Guardia Airport Friday I was screened by and armed TSA officer. Why didn’t he remove his gun before he checked my ID since it was obvious that I was not a terrorist and too freaking old to do him any harm if I was? Although he was polite, he had obviously been working out and I realized that he could probably snap my neck with his bare hands. Only aged and out of shape people who get turned down by Walmart as greeters should be hired for these positions so that I am reassured that the jackbooted thugs haven’t arrived. I hope the press in Newburyport will take up my cause. Hey Kevin. As recommended, my comments here! “Closed mean Closed” is not good enough. As the land expert in the piece in CSM I link to here http://www.csmonitor.com/USA/Politics/2013/1008/Defying-government-shutdown-national-park-visitors-play-catch-me-if-you-can-video/(page)/2 says: “One area where the government seems to have the clear right to put up barricades or “closed” signs is where there are pay gates to enter an area. But for parks and monuments where people can simply wander onto federal lands, blocking access touches on a “a huge [legal] gray area.” You’d think under these circumstances the limited staff would prioritise what to protect. Apparently the skeleton crew at Valley Forge is so overrun protecting the site from “vandals” that they are writing tickets in the parking lot to joggers! The barricades around WWII memorial are disgraceful too, especially since so much of the cost of that came from private funds. What a waste of scarce time and resources putting up the barricades! NPS needs to remember that they are protecting and interpreting sites for the people and not for their supervisors or any politician. Use some discretion, as apparently was done in previous shutdowns. Otherwise the goodwill for the NPS from all shades of political opinion will be lost. And that will be more detrimental to OUR (and I’m speaking as a U.S. citizen and taxpayer here) parks than any stupid and ill-advised shutdown. Being viewed to be as heavy handed as the IRS or Homeland Security will not be good and will only lead to calls for transfer of sites to state control, as indeed is already happening. Again, be discrete and stop harassing ordinary citizens and tourists who want to jog or take pictures! How about “Limited Access” rather than “CLOSED”?? David, and if those ‘citizens and tourists’ are mauled by bears or mountain lions, or even merely fall and injure themselves, how are the rangers supposed to help them if they are understaffed (or not staffed at all) due to the shutdown? Why not blame your congressperson (and hey, give them a call, today!) and demand they fund the parks, rather than berating the rangers who are responsible for seeing that the parks and those citizens and tourists are safe. And how do you suggest the NPS make this determination with the extremely small number of park police and law enforcement rangers on duty? Is there some way of determining the cars of the just from the unjust in the parking The barricades, etc serve the purpose of informing the public. I’m really not sure what you mean about what happened in prior shutdowns. I know Gettysburg National Military Park was closed during the Gingrich shutdown because I was involved in an event that had to be moved because of it. Who do you think would be running the parks and interpreting if they were not shut down? Those employees are furloughed. Put the energy that you are misdirecting to a symptom and redirect it to the cause, those who used the financing of the government as a hostage to get a legislative agenda through that they couldn’t get through the normal legislative process. If a citizen tried to walk into any other federal facility during the shutdown I doubt they would express surprise if an armed guard told them to get off the property. However, whenever visitors walk onto a closed National Park and they meet no joy from a park ranger, they express themselves aghast, as if some great crime has been committed. What in heaven’s name is going on here? Kevin, your earlier post about “Round-up” Randy Neugebauer was likely correct when it accused him of grandstanding. That’s obviously what he did. Neugebauer isn’t stupid; he knows that the NPS is part of the federal government. He knows that it is hypocritical to whine about how the NPS closed its sites even when he helped shut down the government. The Congressman just made a scene at the WWII Memorial because he is an unconscionable partisan buffoon. However, the folks visiting Yellowstone aren’t suffering from Neugebauer’s lack of morals. They don’t seem to understand that the NPS is a federal facility just like any other. Perhaps ignorance is to blame. Or—another possibility—they truly feel a sense of entitlement, but only when it comes to national parks. A visitor wouldn’t think to ask the federal government to leave the keys in the door to the National Archives during the shutdown, right? Yet, for whatever reason, they’ll be dead in the cold, cold ground before Smokey the Bear tells them to wait for the shutdown to end before coming to a national park. What a startling inconsistency! I suspect it has to be one of those answers. In either case, I really don’t want know which. Put the monkey back where it belongs! Not the skeleton staff of the NPS–on the do-nothing wingnuts in Congress who think having a tantrum and still getting paid a fat salary AND a free gym to play in while they blame everyone but themselves for this mess. Yes, closed is CLOSED. As far as “grey” areas go, if its Federal Land and it closed, you are trespassing. Just like treasure hunting of Federal land, even if there are no gates around, is a felony! Obviously the NPS rangers are in the right, but could you just clarify if “Visitor safety” is the issue? I’ve always been impressed by the bracing attitude to safety in NPs; the landscape is never defaced with safety railings, and if your particular visitor experience includes falling off a cliff or being trampled by bison, that’s your choice. So visitors generally behave sensibly and safely without being told. Am I right in thinking the job of the Rangers is to protect the parks and their wildlife from the visitors, rather than vice-versa? Is that what those who demand free access during the shutdown want – buffalo hunting in Yellowstone, perhaps? Incidentally (and to drag in a tenuous CW connection) does anyone know if John Muir got any stick for spending 1861-5 in Canada? I can tell you without qualification that visitor safety is a top priority at every National Park site. These people reason like spoiled children. You voted to close down the government, not shutdown the government, except the parts that inconvenience you. People are mad about the shut down. Crazy stories about mean park rangers are an attempt to deflect that anger. It’s spin, and I wouldn’t doubt if a lot of it wasn’t false. Crazy stories about mean park rangers are an attempt to deflect that anger. It’s spin, and I wouldn’t doubt if a lot of it wasn’t false. I have not seen a single investigative piece. Man arrested for relic-hunting at Kennesaw National Battlefield Park during shutdown. Kevin-Did you notice that the suspect was apprehended in the NPS parking lot at Cheatham Hill (see the comment above complaining about parking tickets at Valley Forge)? It was a pretty good piece although it made the common mistake of not understanding that it is not true that rangers, per se, are determined to be essential personnel. It is law enforcement rangers/park police who are on duty which is why people are having encounters with “armed rangers”. They are armed because they are always armed on duty, the same as any other police officer. Federal law enforcement personnel are trained to do their jobs at one of several Federal Law Enforcement Training Centers (FLETCE, pronounced Flet-cee). I thought it was hilarious that armed NPS personnel was considered news. Goes to show the level of ignorance at work here. Pictures of “1st Amendment activities” taking place all across the closed national memorials in Washington D.C. It is just total anarchy. I hope people will do this at Gettysburg and all the other National Parks this weekend. Power to the people! You have First Amendment rights America and the world… get out there and enjoy them. I love how our First Amendment rights now override the law. Wonderful precedent to set and let’s not the forget the irony of it all. Lyle wrote: ” You have First Amendment rights America and the world”. Just to clarify, the First Amendment does not apply to areas of the world outside of US jurisdiction. No kidding, but I’m not talking about that though. I’m talking about non-Americans in America at the moment. They have First Amendment rights across America do they not? I didn’t want foreign tourists to feel left out when I said America. Lyle, I was responding to what you wrote, not what you thought. The First Amendment applies to non-citizens, however under Harisiades v. Shaughnessy, 342 U.S. 580 (1952) they may be deported for exercising their First Amendment rights. … and foreign tourists have First Amendment rights in America. Yay! That’s a rock like sense of entitlement on display. Gimmie what I want, when I want it, for free and without consequence. The National Park Service has been given some bad legal advice. Every square mile of National Parks and Monuments is open to the people per the “1st Amendment activities” exemption. Here is Florida International University law professor Howard Wasserman commenting on the exemption promulgated by NPS lawyers way back on October 2, 2013. “Well, I was joking. But I guess we should not overestimate the ability of members of Congress to engage in absurd demagoguery, especially when it involves the Greatest Generation. So as the sign at left shows and as a couple of commentators to my earlier post pointed out, national parks are closed, except for “1st Amendment activities.” So park police will not be in the awkward position of arresting WW II veterans for trespassing. And Republican congressmen may lose at least one photo opportunity. The question, of course, is what constitutes “1st Amendment activities,” who decides, and how. Is it simply visiting a memorial or monument to see it (which is what the Honor Flights from Mississippi were trying to do)? If so, why should the WW II Memorial be different than any other national park, even one that doesn’t have a particular monument, but is a historical, special, or meaningful place to see (which would seem to be, by definition, any place the government saw fit to designate a national park)? This all looks ripe for some pretty blatant content/viewpoint discrimination, wherein “1st Amendment activities” are only those engaged in by people who have congressmen helping them move fences. If NPS employees do not allow the people to exercise their 1st Amendment rights at the National Parks and Monuments… they can be sued and NPS own bogus legal advice will be used against them. Get out there people and enjoy your parks and monuments. God bless everyone and Rangers, please acquiesce like you have at the World War II memorial and just let the people be. Kevin, do you think it is okay for the all the decent folk in the NPS to be given bad legal advice? Why don’t you invite an NPS lawyer (not a spokesperson, but one of their attorneys) to defend their legal rationale for the “1st Amendment activities” exemption? You’re blog is as good as any other for them to go on the record publicly. I guess in the end the soundness of their legal advice will depend on a future lawsuit or other challenge. Why can the entirety of the World War II memorial be open for “1st Amendment activities” and not the entirety of Gettysburg National Park? Groups are just doing whatever they want at the World War II memorial in D.C. thanks to the “1st Amendment activities” exemption. You know the veterans there aren’t just standing in one location and protesting. When I write entirety let me say that mean the entirety of the open-air parts of the park. Lyle-There is a massive difference in size between (1) Gettysburg NMP which protects nearly 6,000 largely rural acres and has 1,328 monuments, markers and memorials and (2) a single memorial in an single urban area like the WW II memorial. Gettysburg has very little that is not open-air. Even when the park is open, theft and vandalism are a constant threat at Gettysburg with a chronic shortage in funding for law enforcement rangers. It’s one of the reasons Park Watch, a volunteer organization, was set up years ago to be the eyes and ears for the law enforcement rangers when the park is closed at night. The area for “First Amendment” events at Gettysburg has always been limited and set up so that demonstrators do not interfere with the experience of visitors to the park. Are any of the groups who are vociferously ignoring NPS efforts to deal with the shutdown doing anything to end the shutdown,especially for the other federal programs are being harmed by them as well as the furloughed federal employees? They portray themselves as the great protectors of freedom, but I see it as smacking of “I don’t care who gets hurt so long as I am not inconvenienced.” Many of the Congressmen who are leading these events are the very ones who voted to use the funding of the federal government to attempt to extort the destruction of Obamacare that they couldn’t obtain through the electoral process or the court system. They are evading responsibilities for their actions by making targets of the handful of non-furloughed NPS employees just trying to do their jobs. If you’re worried about theft and vandalism, then keep the park open to the people. The more eyes across all those acres the better. And if “1st Amendment activities” mean people walking and conversing all up and down the National Mall, it should mean allowing people to do the same at Gettysburg National Park. That there is an exemption for the National Mall and Philadelphia, and not Gettysburg makes no sense whatsoever. On the day before the shutdown, we visited a national park and noticed the cleaning crews were making an extra effort to clean the picnic areas of trash. They know that leaving trash around is an invitation to bears and raccoons to make a huge mess. People who want to exercise their “right” to enter the parks are not thinking about the mess they create with their trash. Even if you always put it in the trash containers, it will quickly mount up and spill out if no one comes to remove it promptly. Reluctantly I agree with the rangers. Closed means closed, even to those of us who are part-owners of these wonderful resources.